Klin, Moscow State, Russia - 31 August 2018. The State Memorial Musical Museum of P.I. Tchaikovsky in Klin. 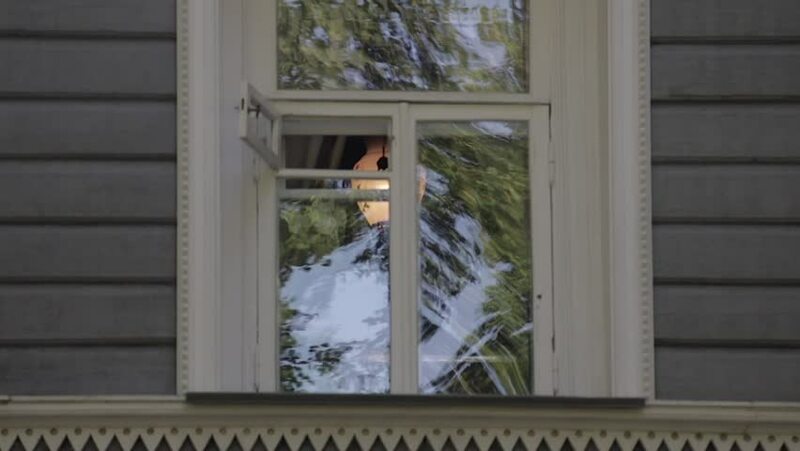 Close up of window in the front part of memorial house in which P.I Tchaikovsky Lived. 4k00:12LOS ANGELES, JULY 15TH, 2017: Pan up from building to American flag at the entrance to the Sony Pictures Entertainment lot in Culver City, Los Angeles, California.